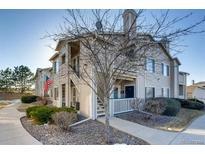 Below you can view all the condos for sale in the Canyon Ranch subdivision located in Highlands Ranch Colorado. Listings in Canyon Ranch are updated daily from data we receive from the Denver multiple listing service. To learn more about any of these condos or to receive custom notifications when a new property is listed for sale in Canyon Ranch, give us a call at 720-606-6881. 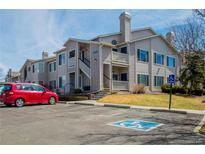 Minutes from Park Meadows and DTC! MLS#3970355. The Platinum Group. Invest in your future. Live the dream! MLS#8736207. RE/MAX PROFESSIONALS. Minutes from Mall, Shopping, and C470 Highway. MLS#4040091. Colorado Flat Fee Realty Inc.
Plus It's A Gated Community And Is Close To Restaurants,Entertainment,Light Rail,Shopping,Interstates, Etc...Maintenance Living At It's Finest!! ! MLS#5662345. RE/MAX Alliance. Come see it while it's still available! MLS#7914575. Realty One Group Premier.